Catherine Merrill is an artist, curator, author and activist. Merrill's work explores the human figure and has been shown in over 150 national and international exhibitions. She received her BFA in Ceramics from the Kansas City Art Institute under Ken Ferguson. 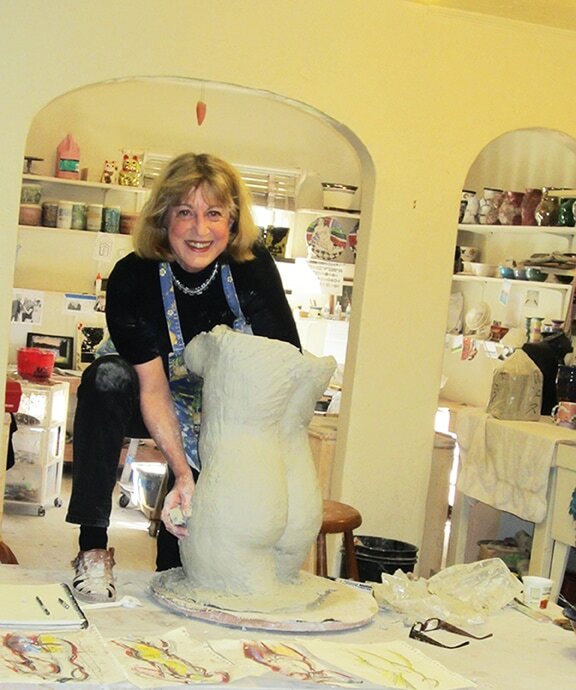 She has been published in Ceramics, Art & Perception, the Studio Potter, Contemporary American Pottery, New Ceramics, the NCECA Journal and CLAY TIMES. Merrill has presented numerous workshops and lectures at colleges and art centers in the US, Canada, Argentina and Cuba. Catherine was Curator of "Beyond the Embargo: Cuban and American Ceramics" at the Fuller Craft Museum. Merrill has been awarded the Jose Maria Heredia Medal of Honor for her contribution to Cuban Culture, grants from the Laila Art Fund, the Puffin Foundation and the NorthWest Ceramics Foundation as well as residencies in Hawaii, Cuba, Argentina, Hungary and Canada. In 2016 Catherine was Curator of CUBA LIBRE! at the new Juan R. Fuentes Gallery at Accion Latina and A Passion for the Figure at the Back to the Picture Gallery, both exhibitions in San Francisco. The prominence of the Human Figure in my work results from the many years I was a dancer and the body was the instrument to express emotions and ideas. I find the creative collaboration of working with Live Models, each one unique in body and spirit, to be a consistent and powerful source of inspiration. I look for models who're performers, actors or dancers, who have a natural feeling for movement and with whom I find creative rapport. In recent years my work has become more narrative and I see my figures as canvases on which to write stories, dreams and memories using the visual language of the natural world. As the viewer engages with the work, he or she sees the reflection of his or her own story, through the universal language of art.